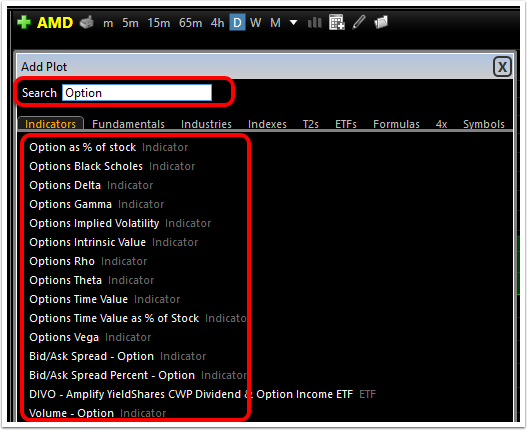 You can now plot many indicators based on the option price history (not the underlying stock). 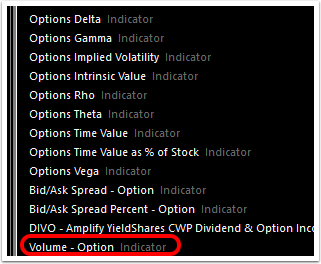 In this example we will choose Volume-Option (but any other options-related plot can be used). 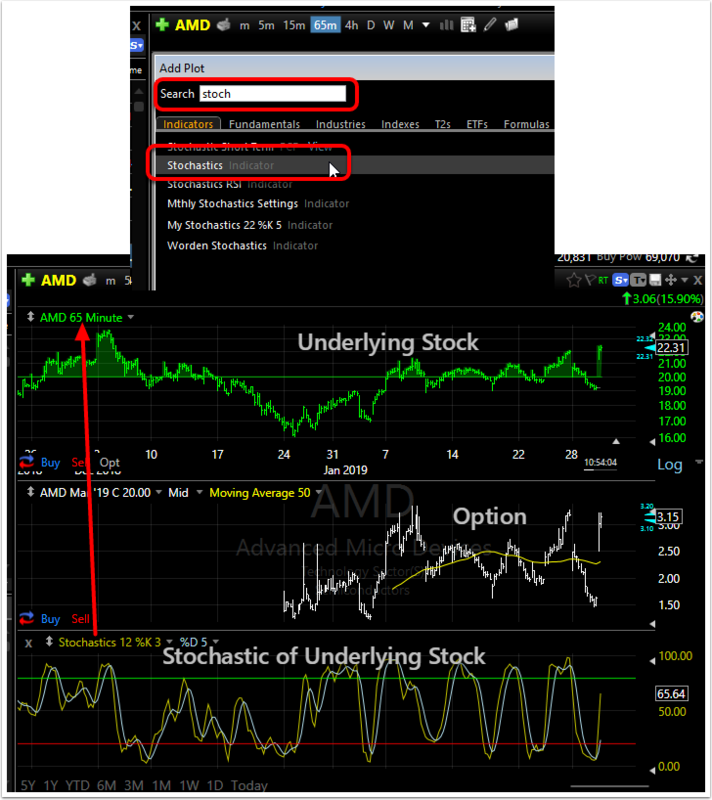 Add technical indicators based on the price history of the option (not the underlying stock). Click the Add Indicator button. 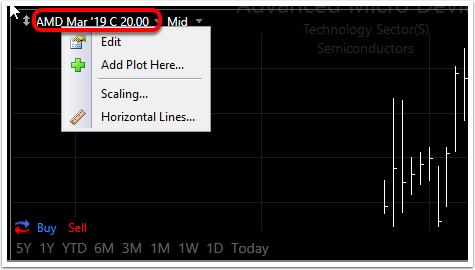 Type the name of the desired indicator (in this example, Stochastics). 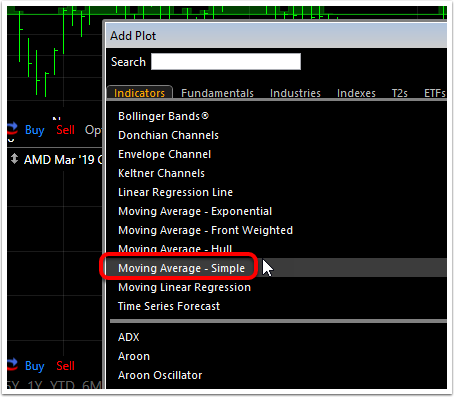 Click on the Stochastics indicator in the list to add it to the chart. The Stochastics plot is currently based on the stock's price history. 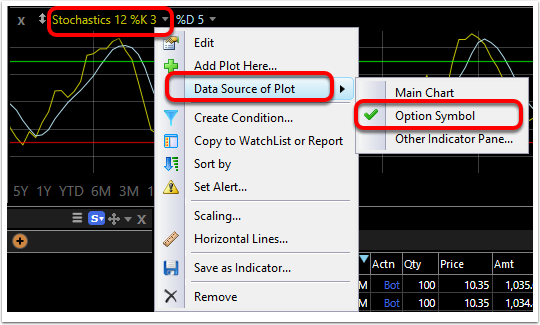 Click the name of the indicator in its pane and select Data Source of Plot. In the flare out menu, place a checkmark beside "Option Symbol". 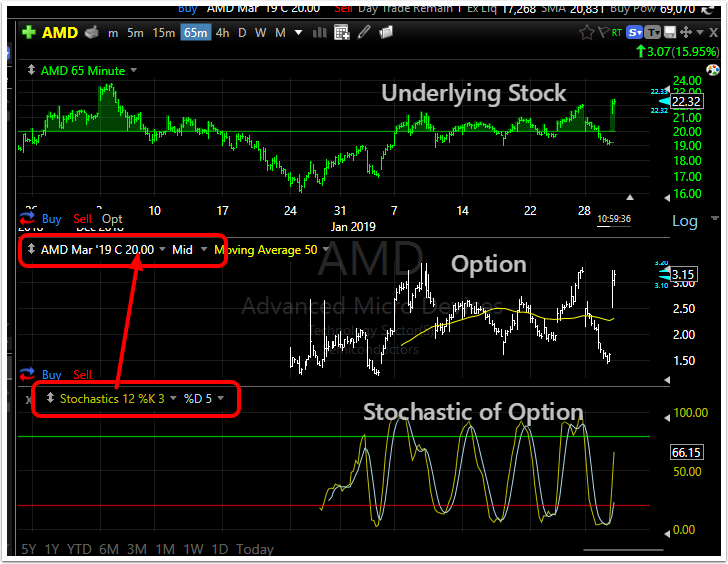 The Stochastics plot is now based on the Option price history (and thus is the stochastics of the option). Note: this can be done with many technical indicators. 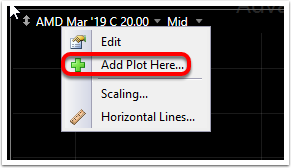 Click here for more about moving/arranging plots on your chart. 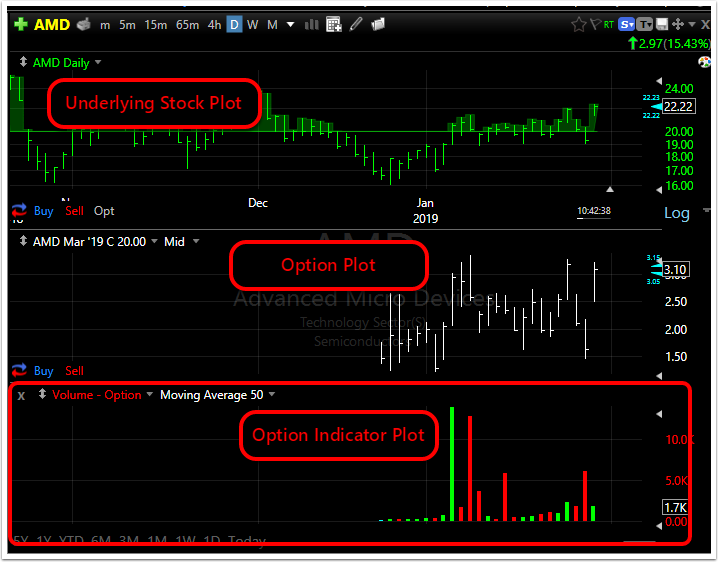 Click here for more on editing indicators. Click here to learn more about changing the data source of indicators.